Dr. Joe Flanders joined guest host Shari Okeke in studio on CBC Radio Noon earlier this month to share strategies for getting some downtime during the summer. MindSpace’s Dr. Joe Flanders talked about mindfulness with CBC’s Shawn Apel on CBC Radio Noon on Dec 4th, 2017. He also spent time fielding questions from callers. If you missed the show the full audio is now available in the link below. 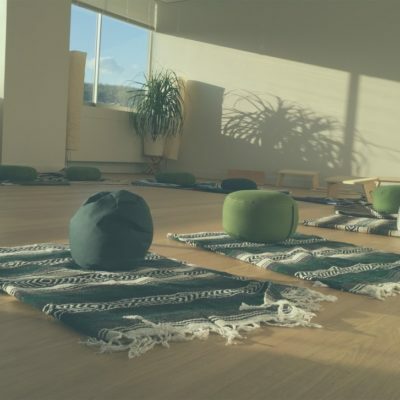 MindSpace’s Dr. Joe Flanders is interviewed in La Presse about the growing interest in mindfulness in Montreal, how it relates to self-compassion and psychotherapy, and why it made sense to open Présence, Montreal’s first meditation studio. In this video MindSpace founder Dr. Joe Flanders shows Global’s Kim Sullivan some basic mindfulness techniques to help alleviate stress and achieve inner peace. How Can We Practice Self-Care in our Everyday Lives? Dr Joe Flanders sits down for an interview with Leslie Roberts of CJAD 800 radio April 5, 2017. Mindfulness Meditation: Does it Really Benefit Our Overall Health?